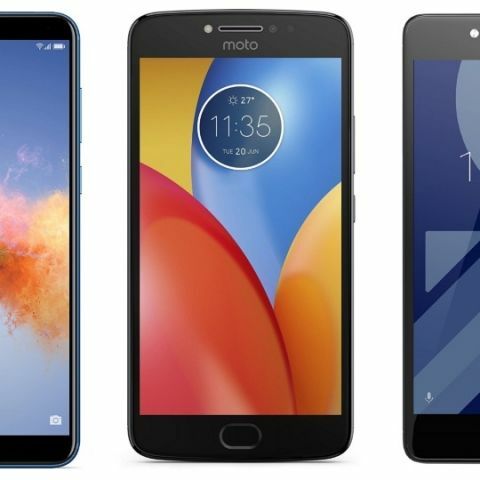 For today’s deals roundup, we have put together a bunch of smartphones that are available on Amazon at a discounted price. The list contains products like Honor 7x, Redmi Note 4 and more. For today, we have gone through the web and looked for the best smartphone deals available on Amazon right now. You will find devices from major brands like Honor, Moto, and 10.or. The Honor 7X features a 5.9-inch full HD display with a resolution of 1080 x 2160 pixels. The device is backed by 2.36GHz Kirin 659 octa-core processor with 4GB RAM and 32GB of internal memory. When it comes to the camera, it has a 13MP + 2MP dual rear camera at the back, while at the front, it has an 8MP unit. You can purchase this device here. The Moto G5S comes with a 5.2-inch full HD display with Gorilla Glass 3 protection. The smartphone packs a 1.4GHz Snapdragon 430 octa-core processor, which is paired with 4GB RAM and 32GB of internal memory, which is expandable up to 128GB. As far as the cameras are concerned, it has a 16MP sensor at the back, while the front is consists of a 5MP unit. You can purchase this device here. The Moto E4 Plus runs on Android v7.1.1 Nougat operating system and is backed by 1.3GHz MT6737 quad-core processor. The device packs a 4GB RAM and 32GB of internal memory, which is expandable up to 128GB. It has a 13MP rear camera and a 5MP sensor at the front. You can purchase this device here. The 10.or G sports a 5.5-inch display and is powered by a Snapdragon 626 SoC. The phone sports a reasonably large 4000mAh battery, which the company claims is enough for about two days of use. At the back, you get a 13MP + 13MP dual-rear camera setup, while at the front is a 16MP unit. Click here to buy the smartphone. Opinion on Moto G5s plus.